About 2 years ago, I joined Twitter, partially motivated by a workshop on personal branding organized by NWO, partially because I was curious for a longer time already. After dabbling around for a while, following news accounts and my favorite bands, I started seeing the possibilities more clearly. 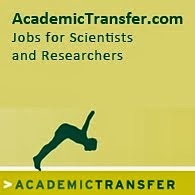 In these days of financial crisis, life in academia is rather uncertain. If you like to stay updated with what the policy makers have ready for you (or better: where they're going to cut budgets next), there are several sources which can give you news on higher education. If you're a doctoral student, you can find peers from every possible field that are still confronted with the same problems and joys as you are and that are going through the same process as you. #phdchat offers a great deal of content for PhD students: weekly Wednesday night chats, and sharing of tips and tricks about doing research and writing, as well as providing an online support community. Within your field, you can identify fellow researchers, industry practitioners and companies. Although the concrete research world doesn't seem to have a lively conversation going on on Twitter (correct me if I'm wrong, and point me to the place please), I do have a few favorites to follow. More and more, conferences or events will give you a designated hashtag to allow you to comment in the sideline and make the process even more interactive. Although I haven't attended a conference yet where this really worked out and had a very lively conversation going on during the conference, I expect that this will become more and more popular in the future. If you're interested in getting started with Twitter, here's a great post from Science has the Answer to help you out! These are great uses of Twitter, apart from wasting time like many out there think. Do you have some success stories with using Twitter for personal branding as a scientist? I have a couple of posts about Twitter and scientists. This is one on setting up your Twitter account as a scientist and this one on who to follow on Twitter. BTW, there is a workshop on Social Media for Life Sciences in Utrecht coming Monday. Are you planing to attend? I think the ideas presented won't be exclusive of Life Sciences, but applicable to other fields.